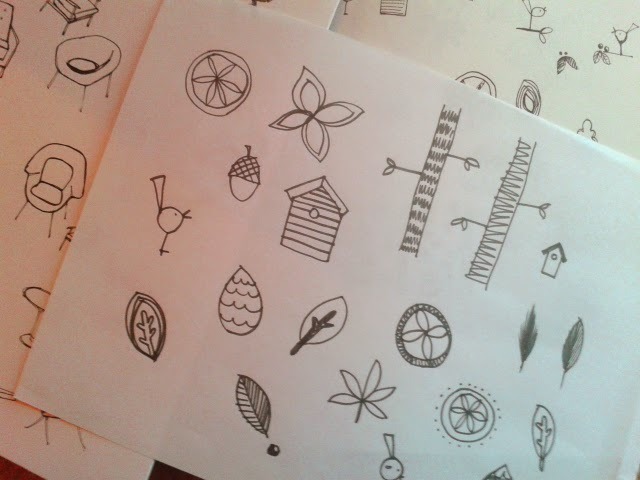 Surface Pattern Design: Notes on creating and being brave! Notes on creating and being brave! My background is in Graphic Design and Illustration but the amazing world of pattern design was opened up to me after take a course run by the lovely Make it in Design team. This proved to be life-changing for me and I quickly regained my confidence lost to years of working in male-dominated advertising agencies. Sharing my work in these environments was pretty tough in hindsight, for starters working in an office slowly destroys your creative powers! I also experienced a lot of negativity and looking back was never really encouraged to flourish. As soon as I started the course I met (online) hundreds of like-minded people who were constantly encouraging and positive, after previously being starved of this it felt like I'd found my place in the World! I was still a bit shy the first few times I shared my work especially to so many people but the positive feedback was really special and I remember some of the comments even now. This is where it all began for me and I've never looked back. My confidence is restored and I'm excited about what the future holds. My ideas always start with a doodle, I could happily do this 24 hours a day if I didn't need to sleep/eat but I actually find some of the best ideas evolve when I'm not purposefully trying to create something. The great thing about creating in this way is that it never feels like work! I think this is really important when it comes to pattern design, I try and make my designs fun and happy so it really helps if I'm relaxed when the process begins, loungewear is fundamental! If I can get away with wearing loungewear outside this is my favourite place to create designs! I'm always inspired by my surroundings and am very lucky to be surrounded by hills, rabbits and sheep. The next stage after endless doodling is to take a design onto the computer, I always find this process exciting as its when the idea starts to come to life. I love playing around with shapes and they way they interact with each other, I'll normally work in black and white at this stage but if I really can't wait I'll start adding the colour which is my favourite bit! Sometimes I'll start out with an idea of how something is going to look but most of the time I'll just play around and see how things evolve, some of my best ideas of come out of mucking around! When I'm happy with a design I'll do a mock up to get an idea of how it will work on a product, this is a really pleasing part of the process which I've lost days to! I feel very lucky now to say I do a job that I love, even if that means sometimes getting up at dawn on a Sunday morning because I've had an idea! 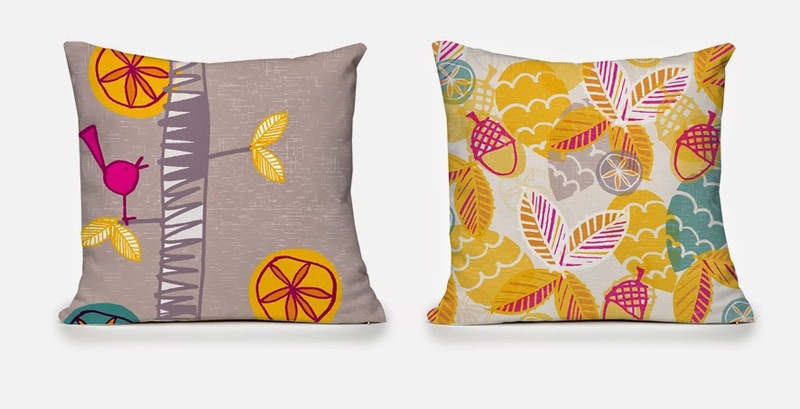 I LOVE these too, get printing so I can make the cushions!